The music can't be loud enough. And life is a crescendo, growing, building... to something.... I feel energy but I know not from what. 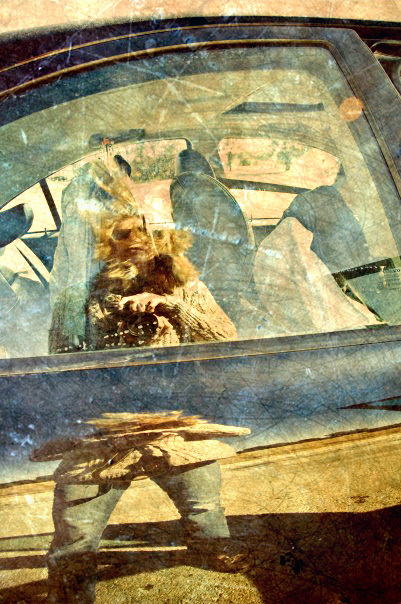 Crazy self-portrait on the drive out to Ft Stockton. Texture by Poser. An inspiration. My post is how I feel today: everywhere.